In a world driven by the latest developments in technology and the increasing ubiquity of mobile devices, small business owners—especially handyman professionals—must utilize any and all resources available at their disposal to find success. If you own or operate a handyman business, you’ve likely noticed the increased role technology plays when it comes to marketing. This highly competitive field service niche that once relied heavily on word of mouth to generate new business now relies on search engines like Google to connect with potential customers. The increased role of technology doesn’t stop with marketing, either. Any handyman business—whether composed of a single handyman or a sizable team of contractors—must leverage the latest technologies to remain as efficient, flexible, and detail-oriented as possible. 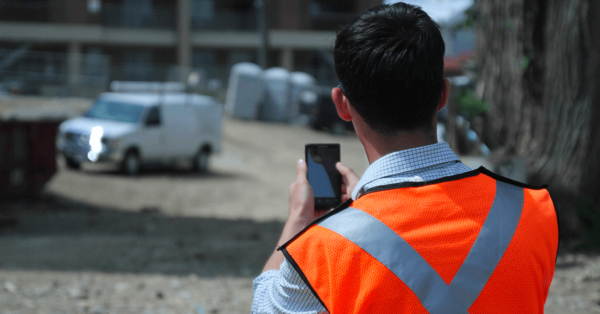 To satisfy the growing demand for digital business solutions, many companies now offer specialized field service software designed to streamline your operations. Keep yourself poised for success in today’s modern business landscape. See below how different software options, such as QuickBooks and handyman software, can help modernize and streamline your enterprise. If your handyman business still writes invoices by hand or outsources its accounting needs, consider moving on to an accounting software application. Most regard QuickBooks by Intuit as the industry standard for small and medium sized businesses. QuickBooks is extremely user-friendly, while at the same time powerful enough to handle all of your business accounting needs, from invoice creation to tracking business expenses. Transitioning to a software solution for everything from invoice creation to general accounting tasks alleviates the majority of headaches traditionally associated with running a small business. One important advantage of switching to an accounting software like QuickBooks? The real-time availability of all relevant information to your staff, accessible from one centralized location. With easy access to all your figures, invoices, and customer data, you’ll amaze yourself with the amount of time QuickBooks saves. Free up your entire staff to focus on the more critical aspects of your business. QuickBooks also reduces the likelihood of clerical errors, while simultaneously freeing up valuable square footage in your office space by eliminating the need for clunky filing cabinets. The ability to integrate with third-party software further sets QuickBooks apart from competing accounting software. You can enhance the functionality of QuickBooks by pairing it with a variety of available add-on applications. For example, should you choose a field service software application that can integrate with QuickBooks, you’ll gain the power to manage all aspects of your handyman business from just one interface. Simply enter all of your data into a handyman software add-on and it will become available immediately in QuickBooks. Say goodbye to duplicate entries and redundant administrative work! When managing a fleet of handyman pros, each with varying skill sets, expertise, and territories, using traditional paper schedules can often lead to mistakes, wasted time, and headaches. Going digital with handyman software represents the best way for your business to eliminate downtime and keep communication streamlined. 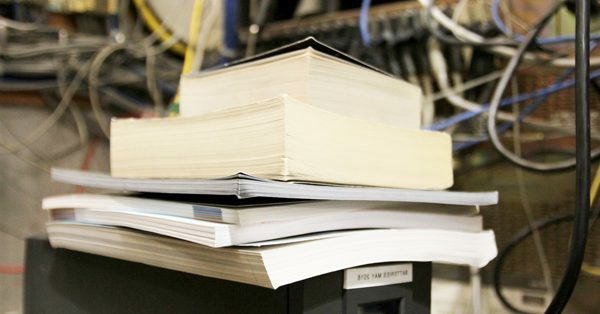 Paper records and schedules can easily get lost, crumpled, messy, or become hard to read, which can lead to mistakes and costly errors. 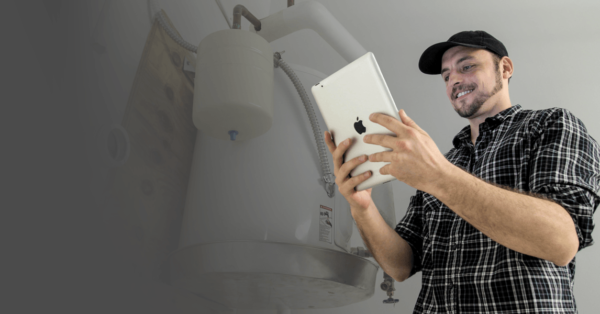 Moving your handyman scheduling operations into the digital world means that everything gets consolidated into one system. By putting the power of an efficient and automated scheduling system in the palm of their hands, handyman scheduling software will allow your entire staff to view scheduled appointments, important billing info, client notes, and other relevant data from their mobile device while out in the field. 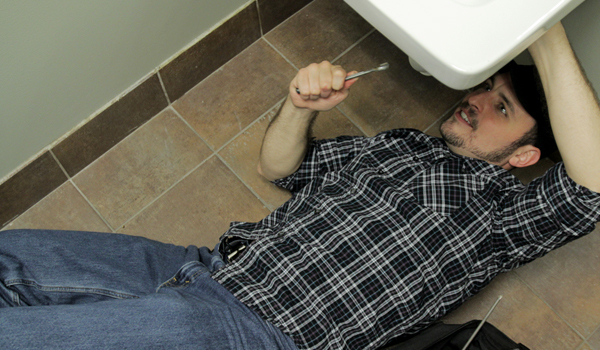 Handyman software doesn’t just streamline operations at your office or headquarters. It empowers your entire fleet with all the information available to get the job done while out in the field, without unnecessary back and forth communications with your dispatcher. Your entire team will have access to every detail they need, from notes on prior repairs or services to equipment details. Many handyman businesses still manage customer service, scheduling, record keeping, invoicing, and dispatching on paper. Many times, the same person manages all these different elements. Augmenting these processes with a handyman software solution can keep work orders moving and your office in control of any situation. Empowering your office staff with the best and most intuitive software means your customers get served more quickly and with the best handyman available for the job. In any field service industry, satisfied customers often become repeat customers, people much more likely to recommend your services to a friend or colleague. Handyman dispatch software eliminates wasted time and unneeded communication between the office and your fleet of handyman workers. Your dispatcher will have all of the scheduling and client information they need, accessible from one simple interface in real-time. In an industry that places emphasis on timely service, handyman dispatch software functions as a valuable commodity. While many tasks out there require a manual touch, operating your handyman business for maximum productivity and profitability is not one of them. Going digital with the management of your business keeps you competitive and agile, two traits that can help your business grow in the 21st century—and beyond!